'Vision On' was abandoned in 1976 after producer Patrick Dowling felt that the series had exhausted itself in terms of ideas. However, Patrick decided that Tony (now 52) was more than capable of hosting his own show and 'Take Hart' was born. On the one hand it lacked the more manic juxstaposition of ideas that was 'Vision On', but 'Take Hart' had a rather nice 'laid back' feel about it and although the focus was now more on Tony, it still contained sufficient ideas thrown into the mix. The set was less obviously studio floor now, and more like a modern penthouse kitted out like a school art cupboard. The series went on to win a Bafta in 1984. Occasionally Tony's rather chilled existence was broken up by the janitor Mr Bennett (Colin Bennett) who would worry Mr Hart over the heating boiler or missing buckets, all of which served to break the programme into segments and provide some way to link items. Significantly for some at least, Take Hart introduced the now legendary animated plastercine character 'Morph' - the maleable man with an attitude problem. Although Tony is all too frequently given the credit for Morph, Tony was merely his mentor. Morph was in fact made for the BBC by a very young David Sproxton and Peter Lord. The pair later formed Aardman Animations, and Morph eventually became Wallace and Grommit but Sproxton and Lord had contributed various animated sequences for 'Vision On', notably the original superhero 'Aardman' chacter from which the company took its name. It was logical therefore to ask them for help when it was decided a sidekick for Tony was needed. Later on, Morph's far more ill-mannered friend 'Chas' arrived and a miscellany of characters who also found room to squeeze into the pencil box. 'The Gallery', a remnant from 'Vision On', also remained as did the famous gallery music - 'Leftbank2'. Arguably this was probably Tony's finest hour. 'Take Hart' gave the crew and Tony, the scope to include far more items although the schedule would have been far more demanding by default. Tony never complained apprently, an observation made by various members of the production crew and some of his closest friends. In fact it has been said that Tony was so laid back, he sometimes had to be guided a little to keep everything moving. The improved quality of television cameras as well as television sets themselves brought the colourful world of Tony Hart into far more homes than 'Vision On' which for some children had been limited to Best iphone 4 cases black & white sets even well after the advent of colour. Tony was now at the absolute peak of his career. 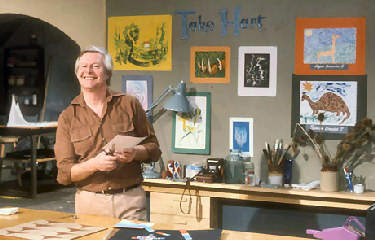 'Take Hart' ran from 1977 right up until 1983. 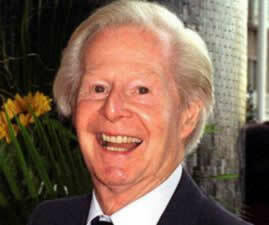 "Tony Hart was a terrific artist - skilful, fluent and endlessly inventive. He could draw and paint beautifully and had a natural, elegant sense of composition and design. But I think of him primarily as a communicator. What an inspiring, inspirational career he had in TV - effortlessly encouraging young people to express themselves in every sort of visual medium. "The different techniques he demonstrated were varied, surprising and delightful, and through the 'Gallery' he even established a dialogue with his viewers and their work. In person, he was amazingly modest about his talent and his achievements; and that TV manner - gentlemanly, kindly, and polite - was absolutely genuine and a reflection of the man."